I'm Patricia Lyons and welcome to my blogsite. I am an international lifestyle photographer based in Virginia. 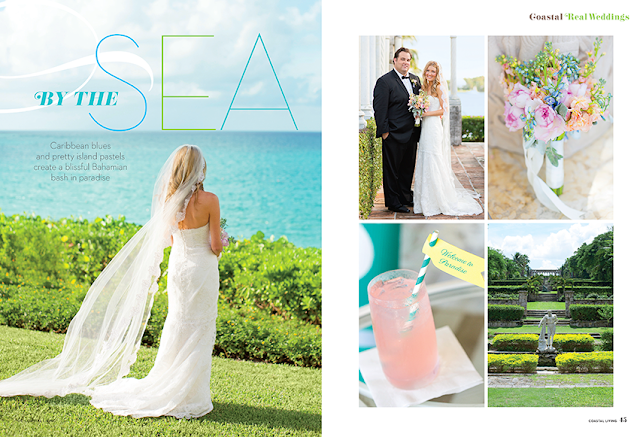 I shoot, well, everything, but you'll find I mainly photograph editorial for select magazines, as well as beautiful weddings in Virginia and around the world. Some photo slideshows are stacked below to the right, and you can even watch them all if you have a whole lot of time and a jug of coffee (and I've been told a box of tissues). You can also 'search' the blog if you are looking for something specific. Or I suppose you could just enjoy the ride back in time, as everything happened. 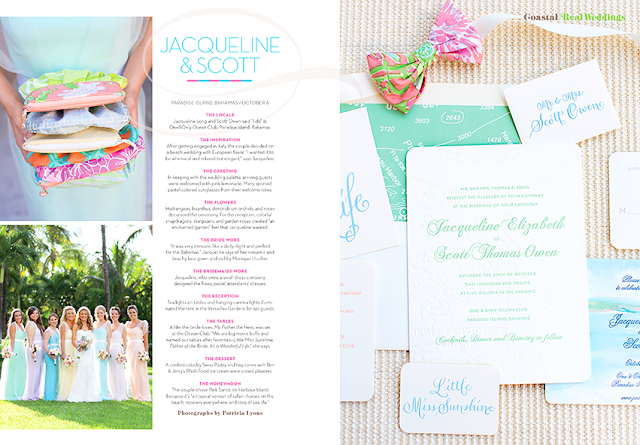 Jackie and Scott had visited the One&Only Ocean Club Resort in the Bahamas with Jackie's family numerous times, and it always held a very special place in their hearts. They knew early on they would use this perfect venue for the wedding, and the ever-talented Dickie Morris at just a little ditty events brought us all together. I am still trying to figure out how Dickie got that Sperry Tent down there! The vibrant Caribbean-hued flowers and accents, the bridesmaids' dresses (which were designed and made by Jackie), her gorgeous Monique Lhuillier gown, and lovely invitations by Bella Figura, plus many more details came together brilliantly. Jackie and Scott were great about heading to the beach for a few portraits after the wedding, though the wind was picking up, and as always the images turned out to be some of my favorites. I love when the bride and groom get to step away from the activity and take a few minutes to themselves (with me, their personal stalker, of course). The joy mixed with excitement, amazement, and maybe just a touch of relief that everything went the way the bride had dreamed, always, always, without a doubt always, come through in the images. 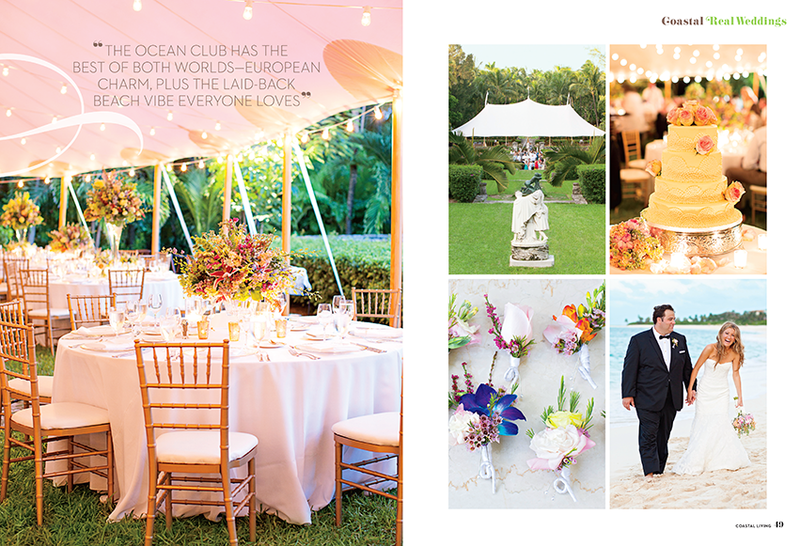 Last summer I was contacted by an art director working on a new magazine called Coastal Living Weddings. You mean as in Coastal Living magazine, I wondered? The magazine that always features dreamy, breezy homes with insane views and makes me wonder why the heck I live two hours inland? Yup. So with the help of some seriously good fortune, both weddings I submitted were selected. Stay tuned for the next installment. Now go make yourself a little frozen drink with an umbrella, and enjoy, and look for the 2014 issue of Coastal Living Weddings on newsstands now!! wow, this is stunning!! congratulations Patricia! !